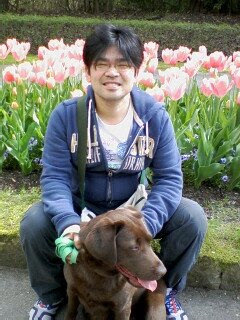 This past Sunday, Shoichi and I took Rosie to the Kasai Flower Center. It's a lovely botanical garden in Kasai City that has a huge variety of different kinds of flowers and trees. 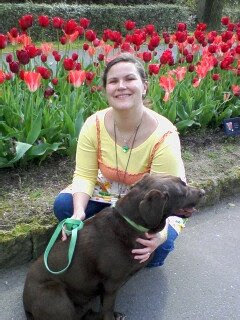 It's tulip season now, so we were treated to a spectacular display of more than 300,000 tulips of 450 kinds. My favorites were the black ones and the red ones edged with orange and gold, but they were all stunning. They also had a good-size green-house filled with tropical plants, including some carnivorous flowers that wave their fronds to attract insects. If anyone gets a chance, I definitely recommend it. I believe the next seasonal flower to be showcased is azalea or satsuki (which, by the way, is the old Japanese name for the month of May).